Welcome to the Audette Collection website – grab a beverage and look around a bit. The goal here is to provide in-depth accurate information on early Porsche lighting for fellow Porsche enthusiasts and to give you complete information on Audette Collection’s suite of world-class restoration services for vintage Porsche lighting. It all started with BOSCH H1’s. I first installed a pair on a ’67 SWB 911 (nicknamed Stubby) my all time favorite Porsche out of the 30 or so Porsches that I have owned. I built Stubby as a rally car using specifications published by Porsche in 1968 As you know, rally cars had prolific lighting – maybe that’s why I like them so much. I usually installed H1’s on all of my longhoods, short wheel base (SWB) and long wheel base (LWB). 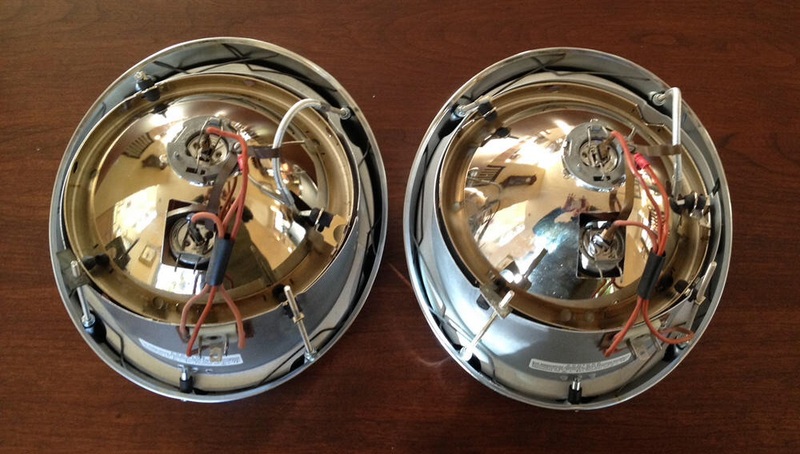 The problem was they were hard to find and usually required restoring. I looked around for someone to do it and couldn’t find anyone. So I started to figure them out for myself. 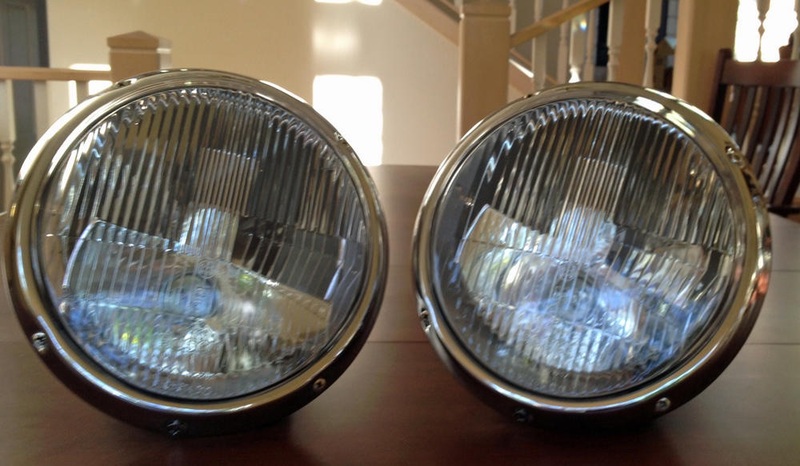 Soon fellow enthusiasts asked me if I would restore their H1’s for them, one thing led to another, and I ended up starting this small business devoted to Porsche lighting. Starting with the H1’s it expanded to other SWB lighting, to turn signals and recently to offering LED headlights for all 911’s and 912’s built from 1965-1994. I concentrated on SWB lighting because they are my favorite Porsches. I have owned several – restored them, raced them (poorly), shown them (and won) at major concours levels and, most fun of all, cruised around most of Central Oregon’s great driving roads. I’m really excited about being able to offer LED headlights for plug and play installation on 1965-1994 Porsches. The difference between LED headlights and even the best halogen lights is simply stunning. After driving with LEDs it feels as essential to have them for safety as seat belts. Take a moment to look over the LED section of the website for more information. 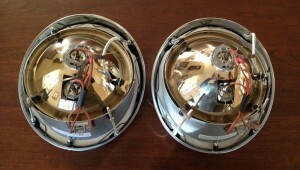 => Restored original SWB Euro headlights coming soon! In addition to lenses, Euro and U.S. turn signal housings have other differences. Bulb size is written in raised letters next to the bulb sockets: "CP" for candlepower on U.S. housings and "W" for watts on Euro housings.